Anybody know how to change the aspect ratio on a Beovision 1 with Beo 4 remote? It's stuck in 16:9 and 'List + 1' doesn't work (The LCD screen is busted on my remote, so only tried blind). 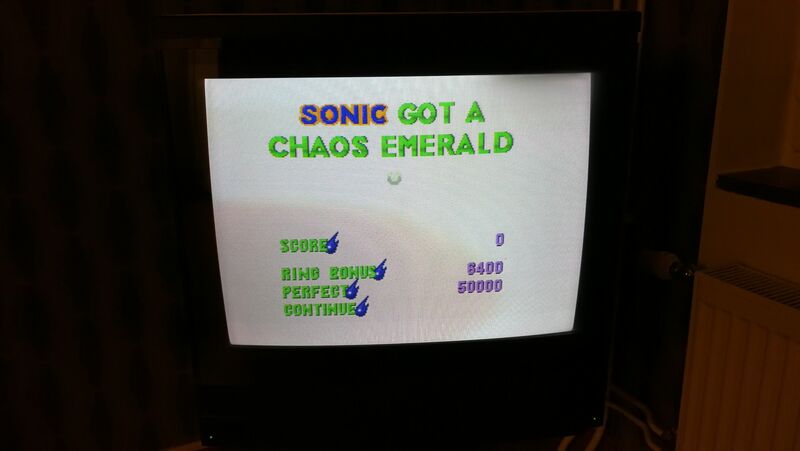 I managed to trick it into 4:3 somehow by playing around with the connection setting and possibly turning on decoder in manual tune but it doesn't save that state and I couldn't figure out exactly what made it glitch into 4:3. EDIT: Figured it out! For those who might have a busted LCD screen on their remote: Press List, List, Go, List, Go, List, Go, List, Go and then down or up arrow to change to Format 1 aka 4:3 mode. Hi, can anyone tell me the default settings of the BeoVisio MX 4500 geometries I think are the same as those of the MX4200 Thank you! Hello somebody can tell me the default geometries of the Beovision MX4200 I have touched some parameters and now it's a disaster .... Thank you! Does anyone have a clue how to get to the service menu in the MX 3500? I opened up the back but I couldn't find any service jumper, certainly not in the location the MX4000 has its jumper. Also, how do I get this thing to save picture settings (brilliance, color...)? I've tried "STORE" and "S.STORE" after setting everything up, the next time I start the TV, it has forgotten about it. Ignore my previous post, I managed to get the MX4000 to save. Just to add to the quality discussion: I got an early revision MX 3500 (1.1 or something), and a 1.6 MX 4000. I shouldn't have bought either. The picture quality is pretty OK with RGB, but not great. Certainly not as good as the 21" Sony Trinitron from around 1999 or 2000 that I have. Also, the MX 3500 has no accessible service menu so I can't correct the RGB signal creating a picture that is too far to the left. But here's the good news: I also got an MX 6000 for free, and not only does it have a high software revision (4.something) so I can shift the picture to the right, image quality is also miles beyond the MX 4000. It's so gorgeous, I'd even put it one notch above the Trinitron. Just looking at the MX 4000 I have, I was wondering what the heck people were so happy about with those. So as suspected earlier in the thread, make sure you go for later revisions of everything. That might include both the MX 4000 and the 6000. The newer revisions have a Philips picture tube on the inside. I forgot the brand of the early revisions, but it is generally thought of as inferior to the later Philips tube. So I got myself on of those mx7000. But what is this in the top right corner. Seems to be that there is some dirt on the inside of the contrast glass. Any advice what to do about this? Remove the glass or just leave it? I have the mx7000 and wonder about removing the contrast screen for cleaning. Were is the bending point. The glass itself or between the back cover and the back plastic on the side of the tv? I was later told that the mx7000 have the contrast screen is held in place by 4 screws. So no bending with a flat screwdriver for me. So while I appreciate the tips given in this thread, some contain misinformation. Yes there is glue on the mx7000, but no one mentions the screws. Now I started experiencing ghosting on my mx7000. I don't know if this is because I run my games at 60hz. Will test 50hz this Monday. I'm using a raspberry pi 3 with rgb-pi. Now I have an opportunity to buy a Sony trinitron kv-29cl and wonder if I should take it. Or keep the mx7000 but then I have to be able to fix the ghosting issue. I humbly ask your advice. A possible solution could be to do with a cap on the neck board according to Makinx but there's no further discussion past this point, unfortunately. I have my money on the crappy switch design they implemented for these sets. RGB signal gets 82 oh ground termination, then 220n cap, pullup resistor 2,2k to 10v, signal diode, 4.7k ground termination, 100n cap, 220 ohm inline resistor. Then into the RGB switch. AV2 has another resistor inline also. 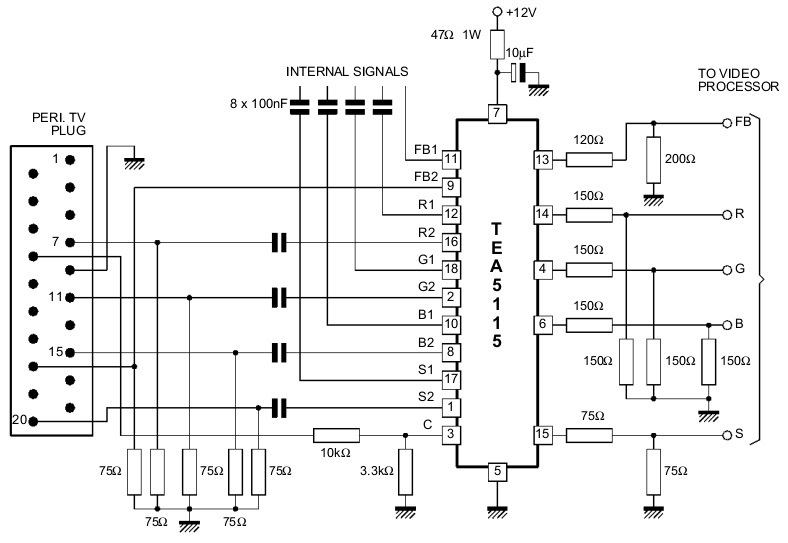 So they make a correct terminated signal, then run it thtough a diode which drops the signal voltage. Then they have to buffer it again to bring the voltage up. Clamping twice along the way via the 2 caps. The OSD text RGB goes to this switch too and may cause some ghosting but I doubt it. You could remove 1 leg of R85 R86 R87 to test this. Most sets would just run a 75ohm ground termination, and a 100n cap. From my experience ghosting is cause by the caps of 2 signals interfering with each other. Grate writing...... For those that understand. I'm more at the level, the tv make a loud noise then I turn it off using the buttom on the TV, but not then I use the remote. But as I said before, it goes away by it self. But befor it did I could remove the power cord and hold the power button and it would still be there then I plugged it back in. I haven't had the time to test further yet. It's admittedly not very high on my priority list. Syntax offers some insights as well which are worth checking out. It's on page 2-19 for me. Are you using a different manual? Anyway, good point. I will check it out. I experienced this again last night but was not in a hurry this time, so I kept on playing. And it just went away after like 2-3 minutes. And it did not come back. So I guess I'm keeping my TV. For those that understand, the way it switches from AV1 to AV2 is it boosts either line with a 10v feed so they can overcome the signal diodes or something. If somethings off with these switches I'm sure it could cause an issue, I know some of you cant get the AV1 AV2 switch to work. If it were me, id throw AV2 out and bypass all that switch crap. But I like to tinker. If anyone's keen to have a go I'm happy to direct, I only have a MCMXCVII(1997) here to play with and it doesn't have ghosting from what i've seen. I have 2 MX7000's, one is opened up to tinker with. I'll take a look next Saturday and let you know. I just plugged my HAS V1 supergun to my MX4002 (4.3 software revision) and I have a rolling picture. Must be a setting, anyone know how to fix this? Here is a video showing the problem. And this is when it get's stable for a couple of seconds. Most of the times the picture is constantly rolling upwards or downwards. Note: All boards do this, all of them. It's either my cable or a setting on the TV. I've tried both AV sockets. B&O MX4002 here, 4.3 SW. This is the rgb switch used in the set. I wonder why B&O decided to connect red to green, blue to red, and green to blue. Doesn't make it easier when they don't use the normal specifications. No idea how you see r g b lines being mixed up..
Red is connected to pin 18 of the rgb switcher in the set, which is the green pin according to the TEA5115 specs. Blue is on pin 12 which is for red, and green is on pin 10 which is for blue. I wouldn't say they are mixed up, just switched around. It might be different in your manual, because mine is for late model MX sets. In mine, all the resistor values on the rgb lines are different as well compared to what you posted. The only thing that's different in those 2 pictures is the names on the pins. All groups of 3 (2 in 1 out) are still the same. Trace wise on the bno it's probably easier to use their layout. Its just a switch. Yeah, I know, it was just an observation while I was looking for the easiest way to bypass the AV1/AV2 switching. Good evening and greetings from Birmingham, UK. I hope everyone is well and enjoying the weekend -- what's left of it anyway. My apologies for resurrecting an old thread. I hope it's not against forum rules? If it is, my apologies, and if it isn't, I had some MX4000 (SW 3.1) questions if anyone would be kind enough to answer them...? Would you kindly ask the questions here sir. So others may enjoy potential answers. Sorry for the delay. Some other stuff came up. 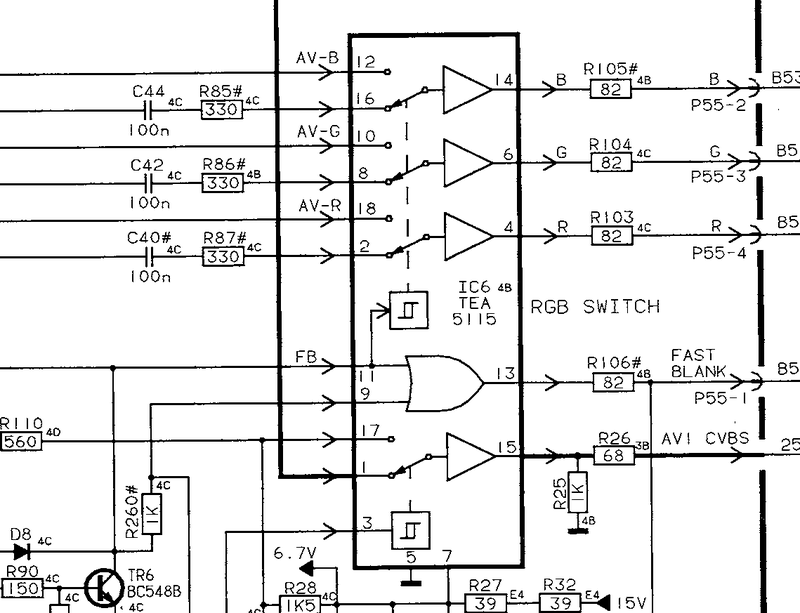 So I bypassed the AV2 switching and removed the text RGB from the RGB Switch. No result, the image is still the same. I've spent the last three months pulling my hair out. Having been after a Bang and Olufsen MX4000 for some time, when I finally acquired one in almost perfect condition, it was painful to accept the reality -- it might have a problem with its screen. For some reason, both my Nintendo 64 AND my PlayStation 2 caused the screen to flicker and jump to the left. I played and played with the service menu settings, I walked the earth to find a different remote, and I begged and pleaded with different online communities to help me. Frustrated with it all, I gave the side of the TV a smack and lo and behold, the screen stopped flickering and jumped to the right. With each smack, it moved until it wouldn't move any more because it was where it should be. Can anyone tell me what the hell is going on?! Could it be a loose screw or a dry solder joint? Next time I might just kick it!!! ^ If only the rest of us mere mortals could find use in the method, Fonzie. I have a mx7000 with a md2 and dreamcast. 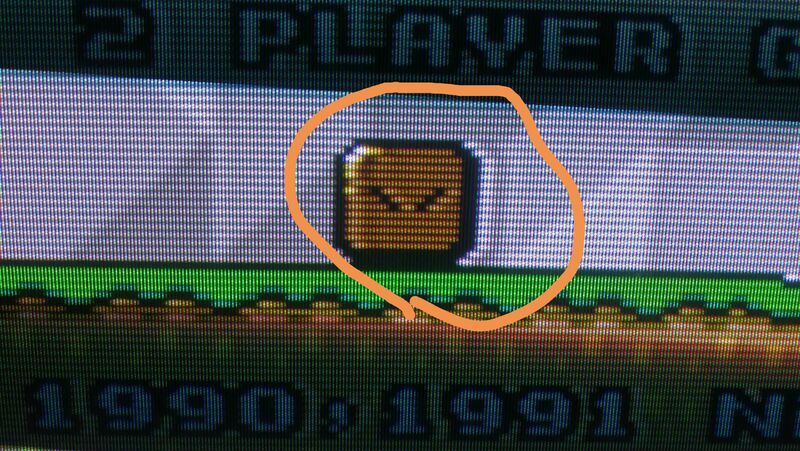 When trying the dreamcast, i bought a cheap ebay cable, wired 15khz, 5v and 75ohm bridge between pin8&16, this results in black picture except som extreme dark contours, tried swaping the csync and composite sync but no difference. The md2 was first wired with the regular 5v and 180ohm, gives me fine output on vtape. tried with a stepup to 12v for pin 8, but still cant get autosense to work. EDIT: I noticed by the excellent schematic a few posts up that there already are capacitors in in series of the RGB lines, I will desolder the ones in my cable and give it another try. EDIT2: Pulled the red cap, still the same black picture with some faint contours. I have 2 jap dreamcast and they both behave the same. EDIT3: Desoldered both the scart & AV, resoldered all pins, FINALLY getting picture, thought i had checked all them with multimeter, although still no luck with autoswitching.